A comparison between traditional aromatherapy oil burner with electric ones. An oil burner can be anything from a bowl made of clay or glass. And today, there is also electric oil burner, that you can buy from local store. Traditional oil burner use tea light to burn the oil. How to use Aromatherapy Oil Burner? Fill the bowl with water. Add 5 to 15 drops of essential oil or Aromatherapy Blend, heat it with tea light, And you ready to relax with the soothing aroma of scents surrounding you. The amount of essential oil to use on each pad will depend on how big the floor area of the room it will be used on. To sustain the desired intensity you may add more of the essential oil of your choice over time. It is also important to know that Top note essential oils like peppermint and citrus types evaporates faster than those classified as Base or Middle note. Keep candle flames away from childeren, pets, & curtains. Never leave a burning candle unattended. as it is a fire risk. Never add cold water to a hot glass bowl as it may crack. All designs not recommended for use more than four hours. For living room: 2 drops bergamot, 2 drops grapefruit, 1 drop orange, and 1 drop frankincense. For bathroom: 3 drops grapefruit and 3 drops Melissa. Want to have more scented oil diffuser recipe? 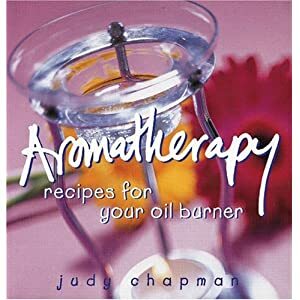 Check out "Aromatherapy: Recipes for Your Oil Burner" by Judy Chapman. This beautiful and practical book contains over 300 recipes for your aromatherapy oil burner, one for every mood and occasion. There is also a glossary of oils and a guide to beginning aromatherapy. Electric oil burner is safe, making them ideal for children rooms or nursing homes, and they can be used for extended periods of time in offices or while sleeping. Electric oil burner is a diffuser type that is not as costly as those expensive burners but is comparable in terms of quality. Some of the electric burner uses pads, will be included if you buy it. Usually the pads needs to be replaced once every 3-4 weeks. This essential oil burner is ideal for those of you who would not want to use tea lights but still get the same quality of scent of pure essential oils. This electric oil burner is modern in design and has a great style. Essential oils are put in the filtered plate and the heat will aid in regulating the diffusion of the essential oil or with their noted therapeutic qualities. This burner can help cover up to 500 square meters in floor area and another advantage of this is it is light weight, portable and zero-noise! This burner comes with 5 pads and if you run out of these replacements may be purchased. Beside aromatherapy oil burner,you can also make scent of your room by aromatherapy air freshener. Get to know aromatherapy essential oils, and you will be able to make your own blend.